Do you love oysters? Join us on our Island Getaways or the Writing Retreat and you’ll experience oysters freshly plucked less than a mile away from the lodge. 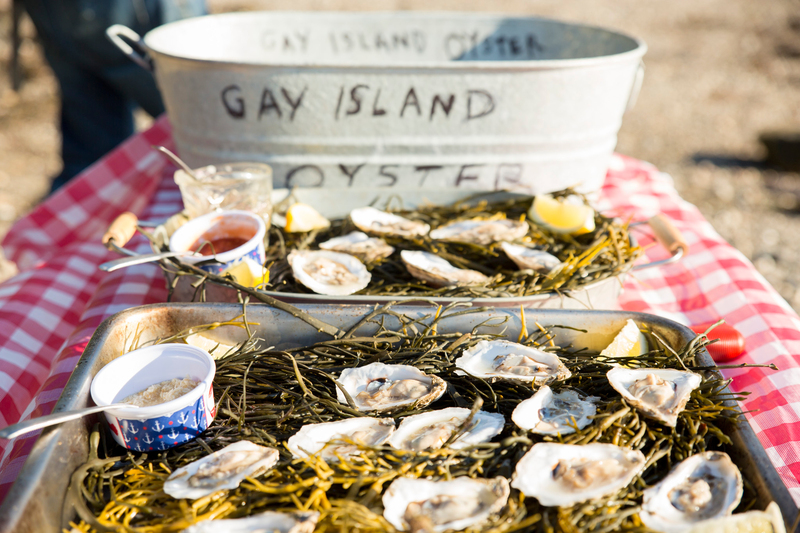 The oysters provided on these two trips come from Gay Island Oyster Farm, owned by Jeff and his wife, Deb Metzmaker. The Metzmakers took over the oyster farm in 2014. 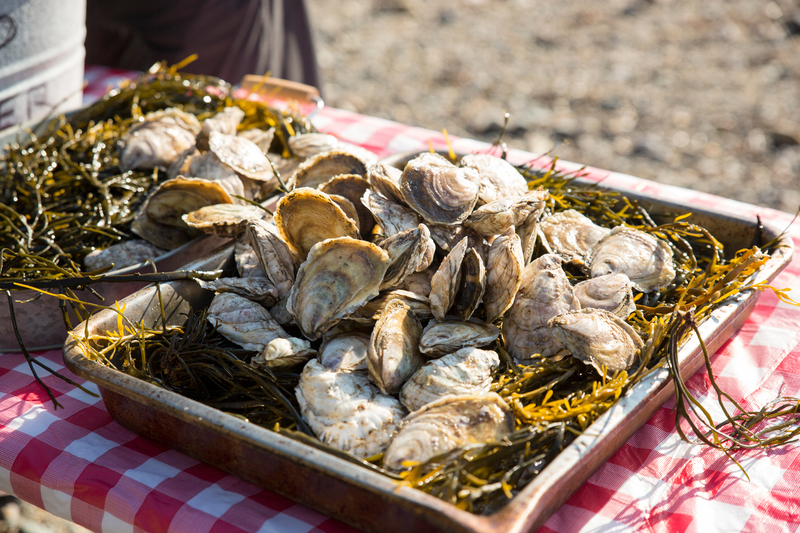 Jeff’s farming instinct, combined with a connection with the Maine coast, and an innate calling to the oyster world is what drew him to becoming an oyster farmer. Jeff delivers and prepares the oysters himself to our Down East Adventures groups. He often stays to enjoy a few of his tasty mollusks and share a few good stories. Farming oysters sounds fairly simple, but there’s a lot going on that you don’t see. First you blend high-quality oyster seed with optimally nutritious tidal water. Next you clear any predators and competitors from the immediate area to enhance the oyster growth potential. Then you give them a quick tumble to help the oysters grow into the perfect iconic shape. After that, the oysters take care of themselves. They filter about 50 gallons of water per day, feeding on the algae brought in by the tide. Directions: Mix all the ingredients and let stand for 20 minutes. With a small spoon or a dropper, place a few drops on each oyster while in its half shell. Then toss them back and enjoy! Learn more about our upcoming trips!